How Can Ayurveda Help In Treating Pheochromocytoma? 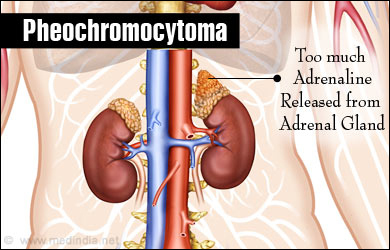 Pheochromocytoma is a rare tumor which develops in an adrenal gland. This tumor is also known as a pharmacological time bomb. It is usually noncancerous and arises from cells called chromaffin cells. Usually, this tumor emerges in one of the adrenal glands particularly in the adrenal medulla which is located above the kidneys. The adrenal gland produces adrenaline hormone which is released in stressful conditions and helps the body to react in a dangerous or emergency situation. It causes increased heart rate and blood pressure. Now in case of Pheochromocytoma, uncontrolled adrenaline is released which can result in stroke, heart attack, or death. WHAT ARE THE CAUSES OF PHEOCHROMOCYTOMA? The exact cause of Pheochromocytoma is not known. It may be the result of inherited genetic mutations. A person carrying this mutated gene may not have any sign or symptoms unless it is triggered by certain factors. WHAT ARE THE SIGNS AND SYMPTOMS OF THE PHEOCHROMOCYTOMA? High blood pressure which may be at irregular intervals or continuous. Severe pain in the head. HOW CAN BE PHEOCHROMOCYTOMA DIAGNOSED? HOW CAN PHEOCHROMOCYTOMA BE TREATED? Conventional treatment for this tumor includes surgical removal of Pheochromocytoma. When surgery cannot be opted for the treatment due to some patient-specific reasons, one has to rely on medications which are given to manage symptoms like increased blood pressure and heartbeat. WHAT IS THE AYURVEDIC CONCEPT OF PHEOCHROMOCYTOMA? In Sanskrit tumor is known as Granthi. According to Ayurveda reason behind round, hard, nodular and slightly elevated growths, i.e. tumor is aggravated Kapha dosha mainly. Kapha dosha enters most of the muscles, fatty tissues and blood resulting in tumor formation. According to Ayurveda, there are nine types of benign tumors that are Vataja granthi, Kaphaja granthi, Pittaj granthi, Rakta granthi, Mansa granthi, Asthi granthi, Meda granthi, Vrana granthi, and Sira granthi. The modern medicine therapy for it has drug-induced toxic side-effects. Ayurveda is a system of medicine which treats diseases in a very natural way without causing any side-effects. In Ayurveda, diseases are treated by using herbs. Along with medicines, Ayurveda suggests some lifestyle changes which helps in quick and safe recovery. Avoid exposure to any kind of strong radiations, toxins, and polluted air. Do not ignore any injury even a minor one which can result in tumor formation later on. Consult a doctor on observing symptoms like frequent headaches, unexplained weight loss, and fever. Maintain specific time habits in the context of eating, sleeping, and work. Do yoga and meditation daily to relieve stress. Food items like cheese, beer, wines, chocolates, and smoked or dried meat etc can trigger the symptoms. Planet Ayurveda offers Pheo Support Pack for Pheochromocytoma. These herbal remedies treat this benign tumor effectively and in a very safe and natural way. These are the single herb capsules made from authentic herbs in a standardized method. Ashwagandha capsules have various health benefits. In Pheochromocytoma these capsules help to relieve stress and severe headaches. It increases concentration and memory. Anxiety is decreased by the consumption of these capsules in a prescribed way. It has antioxidant properties which clear toxins from the body and increases the body's strength to fight against diseases. Ashwagandha capsule effectively treats neurological disorders and also supports overall health. 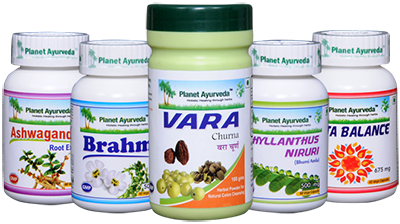 Phyllanthus niruri capsules help to calm vitiated Pitta and symptoms caused due to its aggravation. These capsules help to lower the blood pressure in hypertensive patients which is one of the main symptoms of Pheochromocytoma. It treats hepatic diseases and improves appetite. These capsules are also useful in the management of various other health problems like urinary stones, dysuria, and jaundice. DOSAGE- Take one capsule two times a day after meals. Vara churna gives nutrition to the body as a whole and manages symptoms associated with pheochromocytoma. Liver metabolism is corrected by it and removes fat deposits. DOSAGE- 1 teaspoonful two times a day after meals. It is composed of natural calcium compounds. Pitta balance capsule relieves body heat, palpitations, heartburn, abdominal pain, and ulcers. Pitta balance capsules balance Pitta dosha in the body and imparts cooling and soothing effect. These capsules are prepared from pure and standardized extract of Bacopa monnieri a herb. It supports overall health of the body. These capsules enhance body’s immunity and increases strength of the body to fight against diseases. It is also known as nerve tonic and brain sharpner. These capsules relieve anxiety, stress, and promote relaxed state of body and mind. 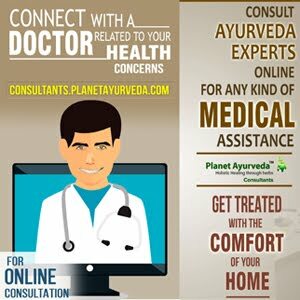 WHAT ARE THE ADVANTAGES OF TAKING PHEO SUPPORT PACK FROM PLANET AYURVEDA? The products in this pack are 100% ayurvedic. It is a purely vegetarian products. Pheo support pack does not contain any chemicals, preservatives, starch, additives, colors, yeast, binders or fillers.